A terrific preening toy with lots of cotton rope and sisal creatively tied around a center woven wreath. Hanging from the bottom are 3 woven balls and a chunk of balsa wood for even more excitement. 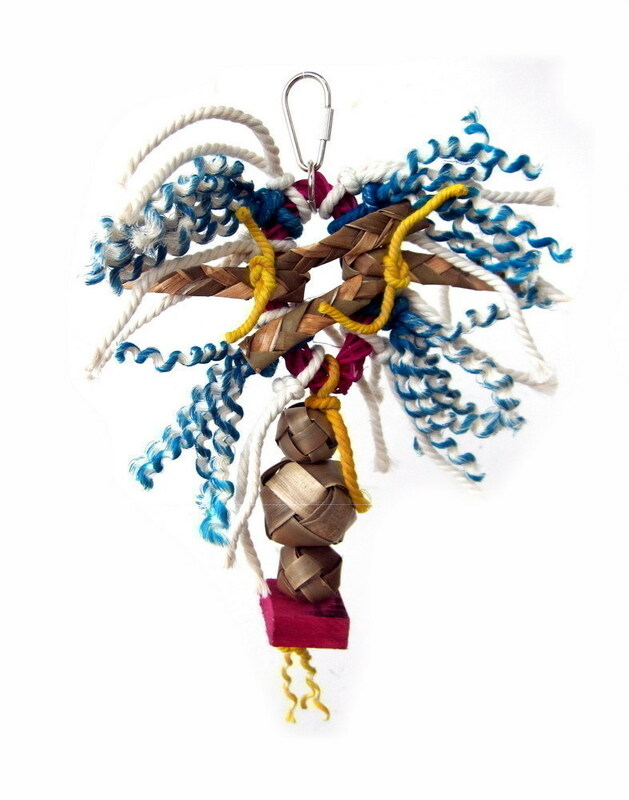 Notify me when Tiki Bird Toy - A&E Java Toys is in stock.